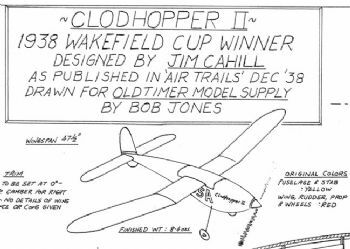 A comprehensive parts kit for the Clodhopper II - 1938 Wakefield Cup Winner. Kit includes all the formers, stab ribs, fins ribs, all tip outlines, wing ribs, sub fin, wing mount - just add strip. Designed for the Bob Jones plan as sold by Mike Woodhouse.